We would like to thank the following companies for sponsoring PUG UK & Ireland. Progress Software empowers enterprises and ISVs to build and deliver cognitive-first applications, that harness big data to derive business insights and competitive advantage. Progress offers leading technologies for easily building powerful user interfaces across any type of device, a reliable, scalable and secure backend platform to deploy modern applications, leading data connectivity to all sources, and award-winning predictive analytics that brings the power of machine learning to any organisation. Over 1700 independent software vendors, 80,000 enterprise customers, and 2 million developers rely on Progress to power their applications. Since our founding in 2006 Consultingwerk has been known as the premier provider of consulting and mentoring services for organisations developing and modernising OpenEdge applications. We have a proven track-record of supporting our clients in solving modernisation challenges and simplifying the integration of advanced technologies in a wide variety of software development projects. From our offices in Cologne, Germany, and our subsidiary in the United Kingdom we currently support customers all over Europe, in Northern America, South Africa and Australia. Consultingwerk supports both application partners and end customers by providing consulting services for every phase of application development and modernisation projects throughout the lifetime of a business application. We are the leading provider of independent OpenEdge development tools for application modernisation, application architecture, OpenEdge GUI for .NET, Mobile and Web applications. Our comprehensive consulting services include coaching, mentoring, training, technology, architecture assessment, prototyping, framework design and software development. Consultingwerk was awarded the 2017 Community Service Award by Progress Software, is a founding member of the Common Component Specification initiative and is a Progress Software Service Delivery and Technology Alliance. We support many UK-based medium, enterprise and FTSE level clients across sectors including Financial Services, Logistics, Manufacturing, Property, Retail and Sports & Leisure delivering robust, reliable Software Applications and IT Modernisation & Enterprise Mobility services providing our clients with a competitive business edge – today and into the future. From instant 'slice and dice' for information discovery to production reporting for operational excellence and customer ready documents like invoices, shipping notes and financial statements etc, Cyberquery covers all angles. Cyberquery will help you win new customers with an impressive Business Intelligence presentation. It will also help you retain your existing customers by greatly increasing their satisfaction with your applications. Cyberquery makes it easy to integrate Progress with other applications. Multiple simultaneous database support empowers you to integrate your Progress applications with data from other sources including Oracle, MS SQL/Server, MySQL, Oracle, CISAM and others in real-time. Proven with Progress for over 20 years, Cyberquery is a cost-effective solution with thousands of customers worldwide leveraging their investment in Progress. Cyberquery may well be the single best investment you can make right now. Interested? Please contact us to discuss how we can help you win and retain more business. Creating modern web applications for Progress can be a daunting task. You have business logic that's working for you, but there's no easy way to share it on the web or in the Cloud. The last thing you want to do is scrap years of work and start over. Do you wish there was a platform to reuse all your ABL and Progress data to create a web application with a modern User Experience? There is, and it's called Servoy for Progress. To learn more, watch our five 30-minute webinars. We'll walk you through every decision you need to make to successfully modernise your Progress application. 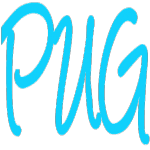 Your own personalised entry on the PUG UK website sponsors page including logo, products & services entry and a website link.